The Veggie Shack is made with black beans, brown rice and roasted beets topped with provolone cheese, lettuce, tomato, onions, pickles and vegan mustard mayo. While the burger is technically vegetarian, it can be made entirely vegan by asking them to remove the cheese and substitute a gluten free bun or lettuce wrap for the regular bun, which contains dairy. I had The Veggie Shack in NYC after a Brooklyn Nets game and wow it was delicious. This is a great vegan option after catching a show or game at Barclays Center. Just remember to ask for the vegan option with no cheese and on a lettuce or gluten-free & dairy-free/vegan bun, and you’re all set. I don’t like the taste and texture of portobello mushrooms, so I never had an interest in trying Shake Shack’s vegetarian option called the Shroom Burger. But now that they offer a different vegan patty, I think I’ll be back again. 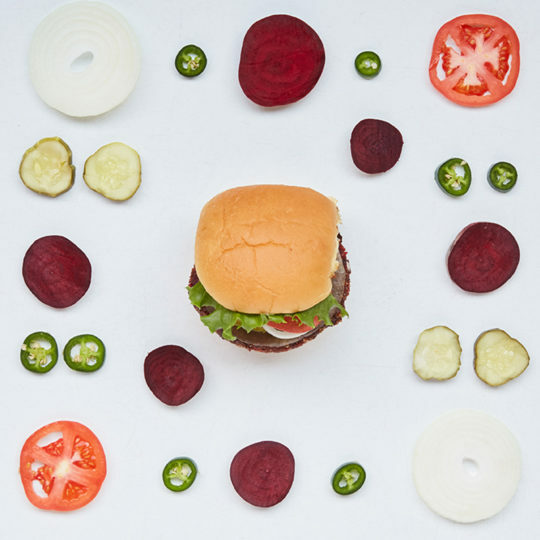 Have you tried The Veggie Shack yet? Images and quotes are from Shake Shack’s press release.